Your AdSense application was rejected. 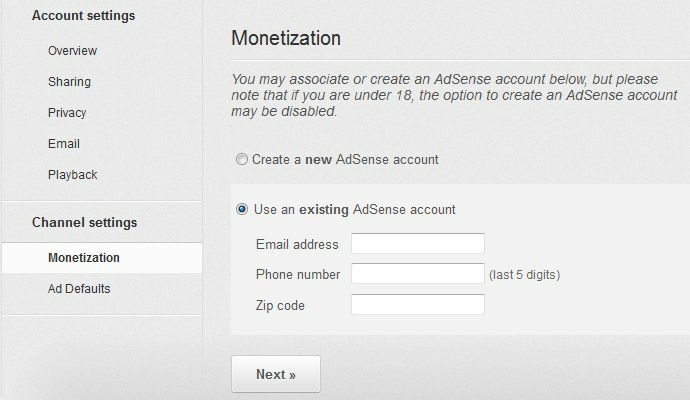 Please click here to associate a different AdSense account. Actually, you may ignore this error. When you associated existing account with YouTube, you entered e-mail, last 5 digits of phone number and ZIP code. It looks like Youtube uses this data to apply for a new AdSense account. Since account with such credentials already exists, the application returns with Your AdSense application was rejected. This is a useless and misleading check up, which should only be present for new AdSense account applications, not existing ones. Very confusing behaviour. To make sure everything is ok, click on here. You will see your account association status as Pending. YouTube and AdSense are two separate systems, and they need time to synchronize. You may check if the access is allowed, by clicking Account settings in AdSense homepage. Clicking view will get you more detailed info. 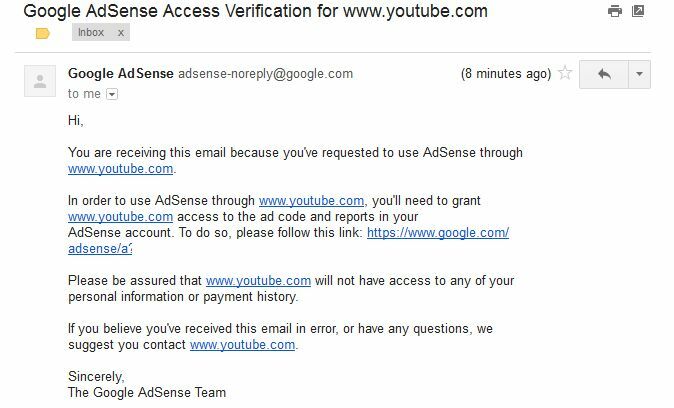 After the account get associated, the Your AdSense application was rejected error will be replace by links, including Go to AdSense account. The synchronization normally takes from a few hours up to several days, so be patient. 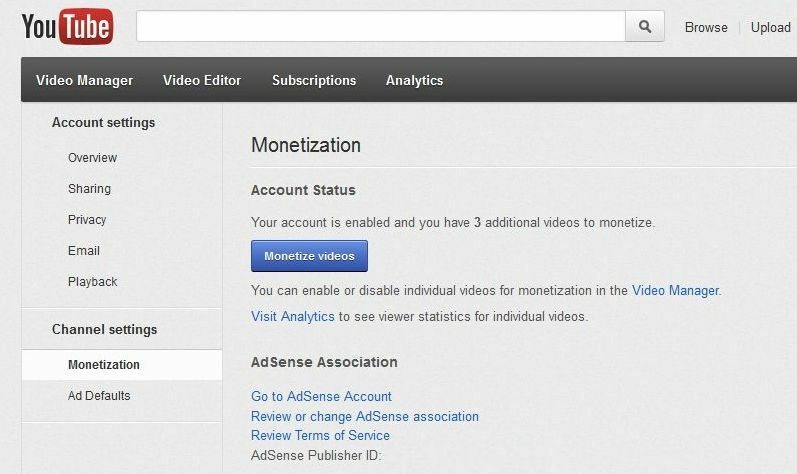 When associated, YouTube earnings would be displayed in AdSense as a separate line Hosted AdSense for Content.